calculator when working the problems in this booklet. session, and Summer hours are limited. Boosting: Rewriting a fraction as an equivalent fraction with a higher denominator. Denominator: Bottom number of a fraction indicating how many parts make a whole. Difference: The result when two numbers are subtracted. number of a fraction, (i.e. ); the number "outside" the division house (i.e. ). denominators by the same number. 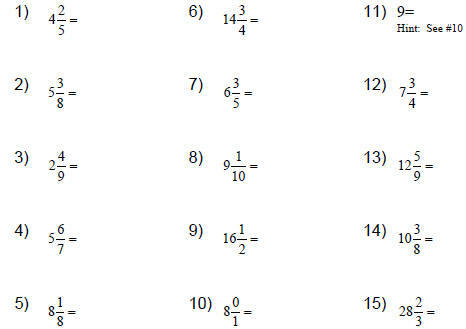 example, the factors of 12 are 1, 2, 3, 4, 6, 12.
number of parts being considered over the number of parts that make one whole. Greatest Common Factor (GCF): The largest matching factor of two or more given numbers. It is used to reduce fractions. Improper Fraction: Any fraction with the numerator larger than the denominator. 3, 5, 7, 11, 13. Product: The result when two numbers are multiplied. Proper Fraction: Any fraction when the numerator is less than the denominator. Quotient: The solution to a division problem. Sum: the result when two numbers are added. Whole Number: The Numbers system including 0, 1, 2, 3,…. that five of the parts are shaded, and it would take seven parts of that size to make a whole. One whole can be "cut up" into equal size parts; therefore, , etc. A whole number can be written as a fraction with a denominator of 1; for example, . number and the improper fraction. Use this factor to multiply the numerator. The result is two equivalent fractions. Note: Equal denominators are required for addition and subtraction of fractions. There are three common methods, DO NOT mix steps of the methods! numerator and the denominator by the GCF, 15.
common factor. Repeat as needed. Both 90 and 105 are divisible by 5. Both 18 and 21 are divisible by 3. Remainder 2 Divide the numerator (14) by the denominator (3). 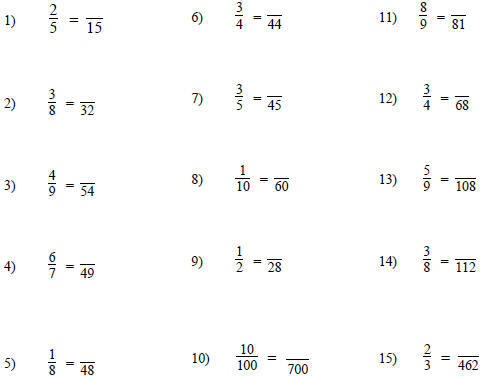 Note: Check you answer to see if you can reduce the fraction.